The Passion movement has introduced some of the most influential modern worship songs in the past 10 years. This year’s release, “White Flag” is no different. I’ve been listening to and leading their songs ever since “One Day” released in 2001. The album kicks off with “Not Ashamed,” a song led by Kristian Stanfill that isn’t bashful about who God is. It’ll get you moving and flows nicely into “White Flag,” the title track of the album and the anthem of the album. Charlie Hall’s contribution to the finished project is a song called “Mystery” and I’m happy to say it is 100% what you would expect from Charlie: a theologically deep and descriptive song that paints an authentic picture of Christ. The chorus, “Christ has died and Christ is risen, and Christ will come again” is a proclamation of faith and truth. 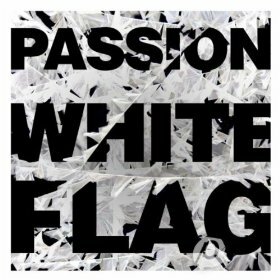 “White Flag” is quite possibly the best Passion album to date. 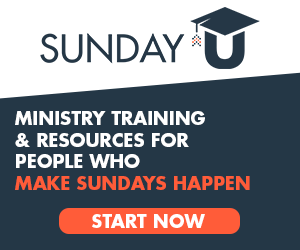 If you’re a worship leader these songs belong in your church. “Not Ashamed” – Perfect for students as a song that will get them moving and shouting. “White Flag” – An inspiring anthem of surrender. It may take a few times for your church to get the feel of the song structure, though. “Jesus, Son Of God” – If you’re a Chris Tomlin fan this is your song. It’s reminiscent of songs from his “See The Morning” album. “How I Love You” – Great on its own but can also shine as a tag for another song. 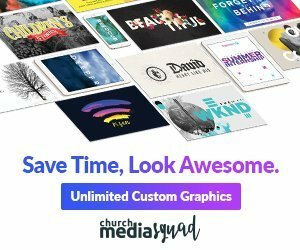 “I Lay Me Down” – Very sing-able and easy to lead. It has a simple chord structure and an accessible chorus. “One Thing Remains” – Although not a Passion original, this song is quickly making waves in the Church. “You Revive Me” – Reminiscent of the song “Breathe”. “Mystery” – If you’re a Charlie Hall fan this is your song. It’s a perfect song for Easter too! “Musically rich, theologically brave, and emotionally honest”, The Brilliance isn’t bashful when they describe their latest release. It would be easy to label this album “hipster worship” and quickly dismiss it as another attempt at “honest music.” If you do this, you will be missing out on one of the most appropriate albums for the Easter season. “Lent” is a small snapshot of what I believe is something much bigger. 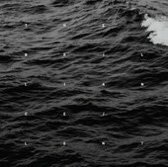 It wasn’t until my second time listening through that I realized this album is meant to be experienced as a whole – rather than one song here or there. My favorite song is “Does Your Heart Break?” Although not a congregational worship song, this song would be an incredible Easter piece and/or work well with any sort of passion-like atmosphere and setting. I’m full of anticipation that The Brilliance will follow up this release with another that resolves the tension created here with the answer to all of the pain and tension “Lent” brings to the surface. Buy this album, and listen to it as you prepare your heart for Easter weekend. If you’re in a role where you get to create experiences for your church, file this album under “Easter Ideas” for this year and next. 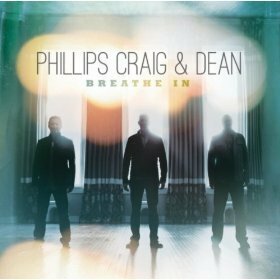 My earliest memories of Phillips, Craig & Dean were in my house growing up and hearing them loud on our home stereo, (along with other CCM favorites like Steven Curtis Chapman, Michael W. Smith and Sandi Patti). We listened while my mom was cleaning or working around the house. Listening to their newest release “Breathe In” is a reminder of why they’re still around. Their vocal talent is undeniable. Melodies are catchy and easy to sing and most songs are memorable. The opening track “Great and Glorious” will have you thinking you’re listening to the newest Newsboys single rather than a Phillips, Craig & Dean song. My favorite song on the album is “When The Stars Burn Down (Blessing and Honor)”; a song that I could see a lot of churches getting behind. “Tell Your Heart To Beat Again” is an incredible song of hope for the listener. The theme is both obvious and appropriate: God is great. The word “great” is in 3 song titles. The production excellence is high. They’ve paid careful attention to every detail. The drums are perfect. The pianos and synths have their place. And the multiple vocal parts sit nicely together. “Our God Is Here”, although lyrically powerful, is a letdown because it sounds dated. The auto-tune sound is a little unpleasant and the song itself sounds like a song you would hear on one of their albums 5 years ago. If you consider yourself a long time Phillips, Craig & Dean fan, “These Bones” will definitely take you back and remind you why you started listening to them in the first place. The album ends with the hymn-like “All Is Well” which draws on the theme and structure of the iconic “It Is Well”. The bridge is one big anthemic “Hallelujah”. The words! My goodness the lyrics! There is so much truth and power packed into every song. Each song is a heart-cry, and the album is one big anthem to God and for God. It’s interesting to note that this album speaks to the style of music that most post-high school adults listen to now: unpolished vocals with little to no vocal tuning. Acoustic instrumentation dominates the album, including an incredible sounding Hammond B3 that seems to build the underlying oscillating tones of most songs. Each song leaves a sense of sonic freedom in it and you quickly forget that you’re listening to a studio album. If you close your eyes and really settle in you get a sense of being in the room with the band and a couple hundred of your church family. 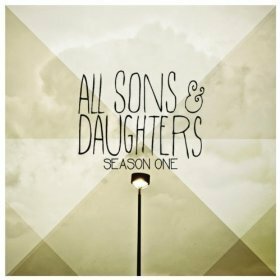 If you’re a loyal fan and follower of AS&D then Season One will delight you and take you on a journey of worship. If you’ve never heard of AS&D before reading this, take my recommendation and buy this album. It’s worth more than the sticker price. Note: this style of music may not work in every church setting. “Reason To Sing” – could serve as an incredible opener or responsive worship song. “Let It Shine” – upbeat, memorable, and a very sing-able chorus. “I Am Set Free” – such a great song of freedom. “Oh Our Lord” – great anthem of who God is. “All The Poor And Powerless” – a justice-focused song with an incredibly anthemic bridge. Josh lives in the suburbs of Detroit and is part of the Creative Arts team at Kensington Church; a multi-campus church based in Metro Detroit. Josh is married to his amazing wife Rachel and they have two kids; Emery and Ashland. You can connect with Josh on Twitter, Instagram, and Facebook at @joshcollesano. Good call on Not Ashamed. We are doing this song this weekend for Easter as our opener with a four piece drumline added to our band. It’s going to be awesome!!!!!! Vernon – are you guys going to be recording that? I’d love to see the finished live element! We’re opening our experiences with a drum line of sorts that flows into and through the song “Here For You”.